508 COLOURlovers viewed this page and think gracenotes deserves two thumbs up. Gorgeous and I'm yearning for autumn too! 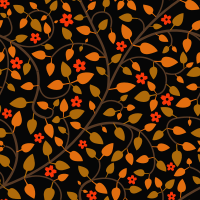 I could definitely see this as fabric in a quilt....or on a handmade pillow for my sofa in the Autumn. Credit must be given to gracenotes & garywest.